I recently met with QPAC Museum Curator Christopher Smith to talk about the latest trend with the arts and theatre community – Page to Stage exhibition. Today I am sharing an article I wrote for local website Creative Drinks. 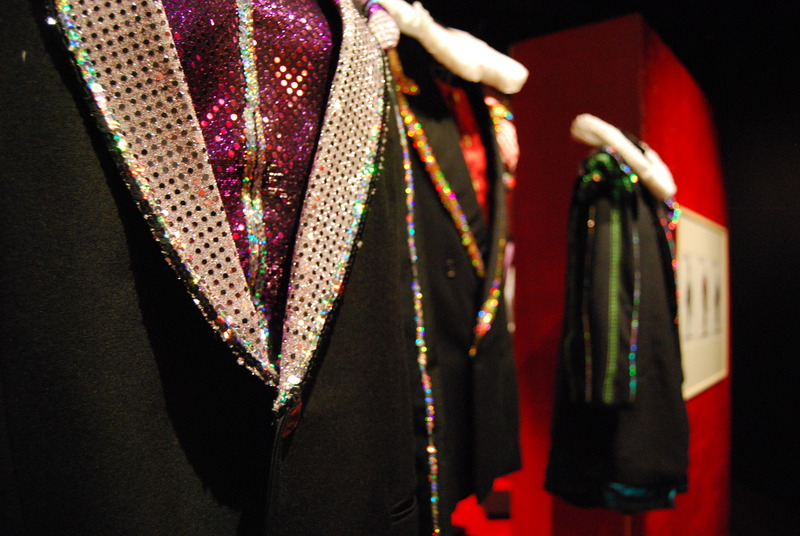 Queensland Performing Arts Centre (QPAC) is currently showcasing theatrical finished garments and costume designs from their heritage collection in the Tony Gould Gallery. As I had attended the exhibition moments before, Smith’s words to me all fell in to place. When I stepped in to the dramatic red and black room I had felt as though I was preparing for a dress rehearsal for many historical performances. With a strong background in theatre, exhibition design and costume making, it is no surprise that Smith has made this exhibit a success. However it would have been a difficult job selecting from more than 65,000 items to exhibit. As I walked around the room, eyeing off soft cottons, sequins, frills and buttons I felt how important it was for each item to engage and connect with its audience. While I was immersed in the costumes, I wondered how each delicate thread or bead stood there with perfection and without damage. After hearing Smith’s story I could then understand why the designs on display were chosen. “Costumes often don’t survive complete. Petticoats get reused and altered, accessories disappear, and the remaining pieces may be historically interesting but just don’t display well in their current state.” Smith stated as I felt a rush of gratitude for every member who has worked to preserve these intricate designs. I took comfort in knowing that each article of clothing, from handmade ‘period garments’ to contemporary costumes, was exactly as it was on stage. This allowed me to feel closer to the costumes and see each story for what it truly was. Much thought had gone in to ensuring that each garment was “right for (the) character.” There is no mistake in saying that the range is vast and worth a visit. If only to see how the costumes have changed over time, and appreciate their workmanship. The exhibition truly is a celebration of what was and of what is. Each moment of appreciation from the audience and every person who walks in to the Gallery is a part of that. I invite each and every one of you to play a part in this theatrical exhibition and commemorate the designers, actors and audiences who have made Page to Stage: Costume Design for Performance possible.